In the Discount Fanatics Medical Savings Center, you can quickly access all pages that relate to saving you money on everything medical-related. 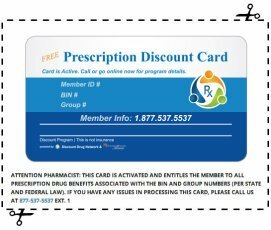 You can save big with Free Medications for Adults and Children, Low-Priced Medications, (such as $3 to $10/month lists), plus free and discounted health services. As new pages become available, they will be listed here, so enjoy the savings, and keep checking back!